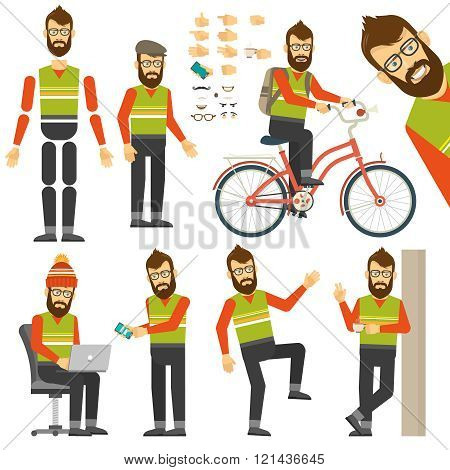 Hipster in various positions in flat style. Constructor for any hipster poses. Hipster on bicycle.